The multi-purpose PVC canvases we carry are in Mesh (Permatron), and in Mutlitramp 362, 392, and 492. - The Multitramp canvases are extremely robust over time and under tension. These canvases have a wide variety of multiple uses both indoors and outdoors, such as in game and leisure centres and swimming pools; or used as trampoline jumping mats, or for various needs of fishing and environment professionals, and so on. - The canvas edges are high-frequency welded to prevent tearing. The welded edges are fitted with 17-mm stainless steel grommets positioned every 150 mm to facilitate the installation of the canvas and evenly distribute its tension. All these canvases are UV-resistant and perfectly suited to private residences, marine environments, and much more. 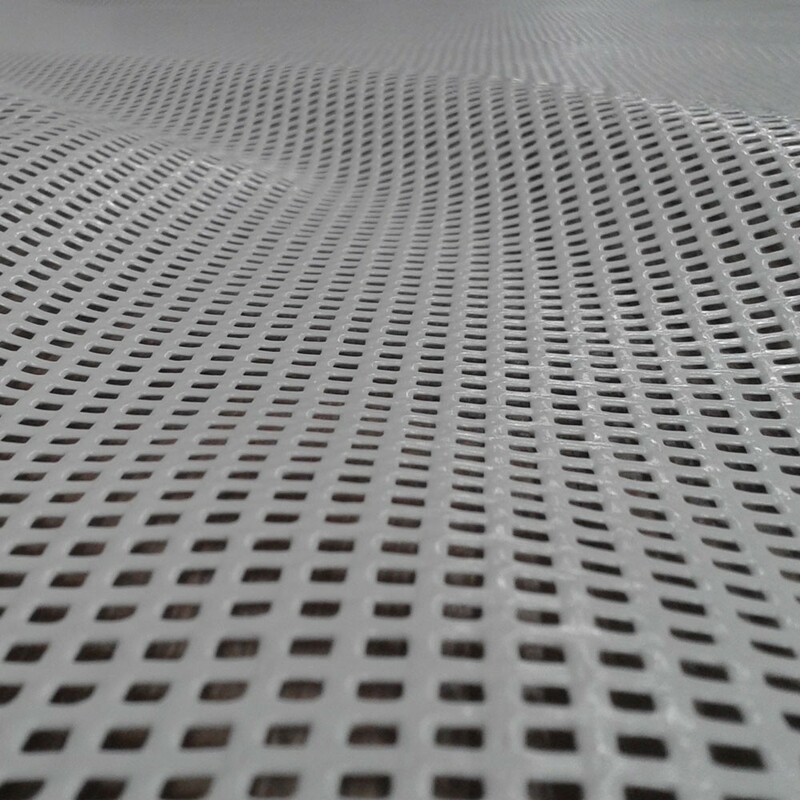 - The Mesh (Permatron) material is a lightweight canvas with a very closely-woven mesh often used for trampoline jumping mats and racing catamaran trampolines. The edges of this Mesh are sewn with zigzag stitching to prevent tearing. Grommets are positioned around the edges for easy installation. - We also carry other technical canvases like the tarpaulin, equally UV-resistant and very robust. This material is available in several colours: blue, green, yellow, black, and white. These tarpaulins are used to cover swimming pools, lorry trailers, or to reinforce boat sails or replace racing catamaran trampolines. The contact form will allow you to enter your desired dimensions in order to roughly calculate the price of your canvas. We will then email you a personalized quote based on the size and fabric choice of your canvas.